Brace yourselves folks, for that time of the season draws near once more. Yes as you guessed London cocktail week soon approaches us and as always, we welcome it with open arms (and ideally with a cocktail waiting on the other end). You will recall our several encounters with Chivas Regal, along with the joy of being one of the first people to create our own blended whisky. Well now our annual blending session begins once more. 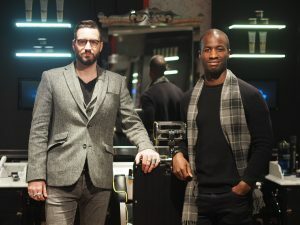 The world’s first luxury Scotch whisky Chivas Regal will return to London, bringing back their very successful session ‘ The Blend’ into a new space in the city. After a superb sell out event last year, Chivas Regal are taking The Blend to a new space situated at 133 ethanol Green Road. What is rapidly becoming a new trendy hotspot in East London, Bethnal Green will be the hub for its guests to learn more about the heritage and history of premium whisky (including its origins), as well as sampling many different drams along the way. Taking ourselves back to the experience of the blend brought back some epic memories, creating something unique to our palate through a long series of tasting and blending. We’re no experts in the field of blending whisky by any standards. But give yourself a bit of time through their teachings and you’ll soon bring out the whisky connoisseur in you and master your Chivas Regal blend. Now back to the space….. The Blend’s new bespoke space is naturally a bar in its own right, similar to the scenes of a Manhattan whisky bar (in the middle of East London too!) which should hopefully transport you from the streets of London. As well as there being DJ settings and bespoke art illustrations to give you that true cultural blend for the surrounding area. Now get ready to sit back and enjoy the blend for yourself. 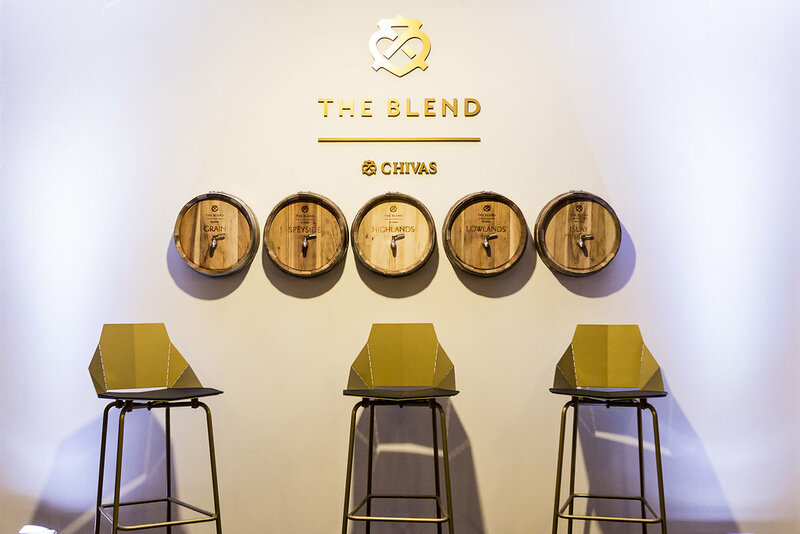 As we mentioned earlier The Blend space will let you master the Chivas Regal art of blending, whether you’re a complete novice or expert. First release tickets give you a 45 minute art of blending experience at £20 for two, where you will taking home a 200ml bottle of the work of art you created on the night. 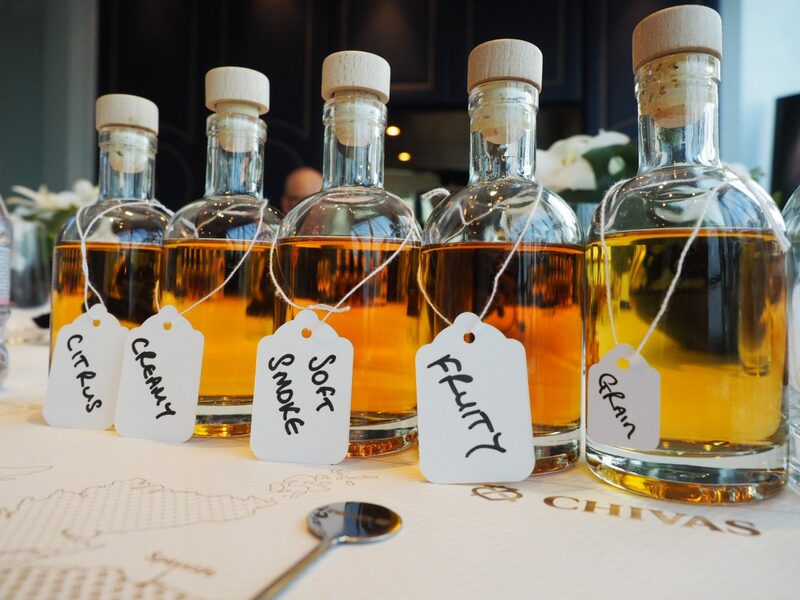 So get booking ASAP if you’re also keen to become a fellow whisky blender with Chivas Regal. You can now buy your tickets on Chivas Blend website. When: Sessions running until 10 pm every day during London Cocktail week (2nd -8th of October), and from Wednesday – Sunday from week commencing 10th October -3rd December. Cost: Standard Ticket £20 (including booking fee). Launch offer available during the launch period 2nd -15th October only. Limited tickets available.